Tech3+ Collection Cross pen company. 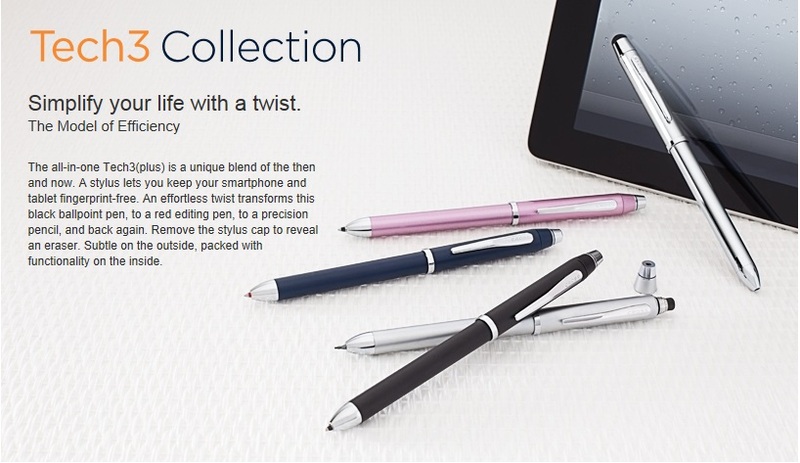 Finally a quality pen that has a stylist for your tablet or touch screen phone. The Cross Tech3+ collection is one clever multi-taker. With a simple, smooth twist, switch from black ballpoint pen to red ballpoint pen to 0.5mm pencil. With a detachable smart stylus, you can navigate your smartphone , tablet or any other touch-screen device with ease. Enhance the way you work and create, every day.